Based on my good health, it’s unusual for me to have to call upon my primary care physician throughout the year. Recently, I discovered a lump in my cheek and became a bit alarmed. Although I could speculate as to the problem, I called my primary care physician’s office immediately. I was offered an appointment that same day, but my busy schedule didn’t allow it. After all, it was not an emergency and I had commitments to my own clients to keep. Next, they offered the option of seeing the nurse practitioner two days later. Because I hadn’t met her yet, I welcomed the opportunity to meet another member of the care team. Fact is, as the Affordable Care Act is enacted and Accountable Care Organizations and the Medical Home Model continue to evolve, primary care practices are expanding to employ additional professionals who can meet the growing needs of the populations they serve. 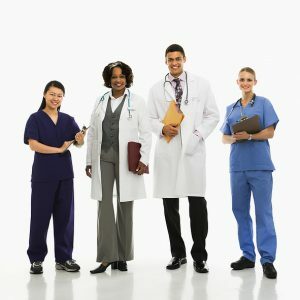 Such professionals include nurse practitioners (NP), physician assistants (PA), care managers (CM), social workers (SW), pharmacists and nutritionists. When I visited the office for an exam, the NP suggested an ultrasound of my cheek. My primary care physician wasn’t in the office that day, so the NP conferred with another physician. (Quickly, I was getting to know the entire team). The physician thought it was probably a blocked salivary gland from a tiny stone. Instead of an ultrasound, she suggested some “watchful waiting” and prescribed eating lots of hard candy to force salivation. A follow-up visit was scheduled for 10 days later. Several bags of hard candy later, the lump was gone. To close the loop, I wrote to the NP using the Patient Portal in the Electronic Health Record (EHR) System and provided an update on my status. I also cancelled the follow-up visit. Overall, I am very pleased with my new primary care physician and her entire team. I feel confident that my needs will be met if anything urgent arises. Do you feel the same way about your primary care physician?